Ronde van Vlaanderen - CyclingFever - The International Cycling Social Network - Get the Cycling fever! In 1912, together with some fellow countrymen, Karel van Wijnendaele launches a new sportspaper called “Sportwereld”. To him, this is the best way to organise a cycling race just like his big example Henri Desgranges did who founded the Tour de France. He does get his race when, in 1913, the first edition takes place. Van Wijnendaele has some wishes about the route though, it needs to be a Tour through all of Flanders. So, the route stretches from east Flanders all the way to the coast in the west. It’s also important to van Wijnendaele that cities like Brugge, Gent and other important communities are included in the route. End result of this wish is a course that stretches over 330 kilometres, across the worst possible roadsurfaces you can imagine. Belgian Paul Deman wins the first edition of the Tour by beating another Belgian, Joseph van Daele. But this first race is anything but a great succes! 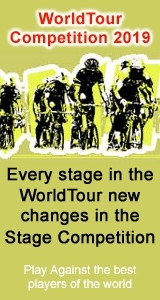 The first Tour only has 37 entries, one year later an extra ten riders were willing to ride the race. When the First World War was over, the organisers keep at it in 1919, even when the French sponsors pull out. They were of immense importance to European cycling at that time. The stubborness of the organisation of this Flanders race was to blame for her survival and did get its international appeal in the end, more so than any of the other small Belgian races. The future of the Tour of Flanders was set. Flanders most beautiful race has not always been the big race it is nowadays. In the early years Milan – San Remo was raced at the same time as this one. Since the Italian race had a much higher rating, nearly all French and Italian cyclists were present in Italy. That’s noticable when we look at the first 32 results. Only a Swiss rider, Heiri Suter, manages to win the race in 1923, all other victories go to Belgians. Through time, the Tour of Flanders has produced many local heroes. To many, Briek Schotte was the ultimate "Flandrien" or “Flandersman”. He participated for twenty years in a row and won it in 1942 and 1948. “Iron” Briek died in 2004, exactly on the day “his” Tour of Flanders was raced. Although the Second World War was on, this race still prevailed in occupied Belgium. Mr. Van Wijnendaele convinced the German occupiers about the public value of the Tour and his newspaper was also allowed to be printed during the war. His opponents thought it to be borderline collaboration with the Germans at the time. The Tour of Flanders route undergoes major changes. The first editions were all ridden on pebbled tracks and uneven brick roads. After the Second World War new routes were determined because tarmac roads were introduced for the first time in the race’s history. The organisers wanted to preserve the “bumpy brick road” character of the race so the new route led the riders right through the countryside instead of the cities. But the pebbled roads disappeared as well. To futher keep the same “hard” character in the race the Flemish Ardennes were included. This mountain range would allow for early selection in the race. Again, the future of the Tour of Flanders was set and “she” will prevail for many years to come.